I first had Tonkatsu Sandwiches when we bought them in Shin-Osaka on our way to Hiroshima/Miyajima and it was love at first bite. The bread was so soft and the meat was crunchy, yet tender and juicy: it was perfection in a sandwich. I also really liked the sauce in it, but my daughters were not impressed. I later understood the reason why: it contained a hint of wasabi and their tastebuds can be very sensitive (that’s what I call fussy!). I LOVED it… but then again, I love wasabi. These make a great lunch (bento box anyone?) and they are a fantastic way to use left-over Tonkatsu, if you ever happen to have some. 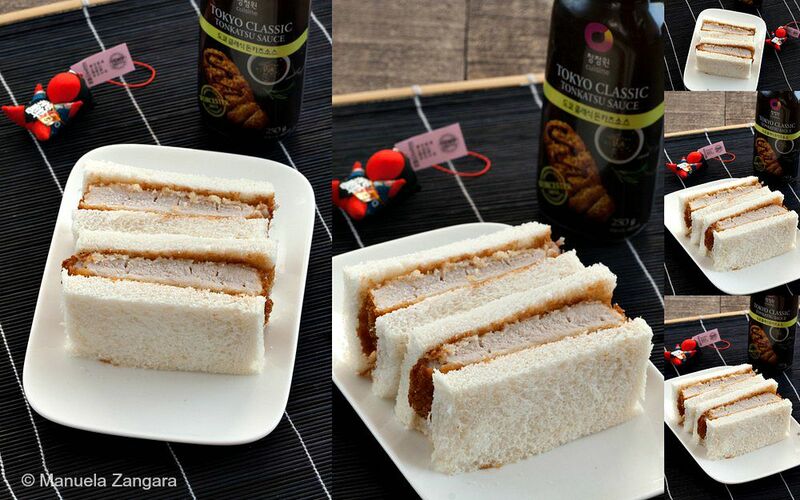 I don’t… so I usually make extra Tonkatsu on purpose, so that I can enjoy it in my sandwich! Try it and let me know what you think! 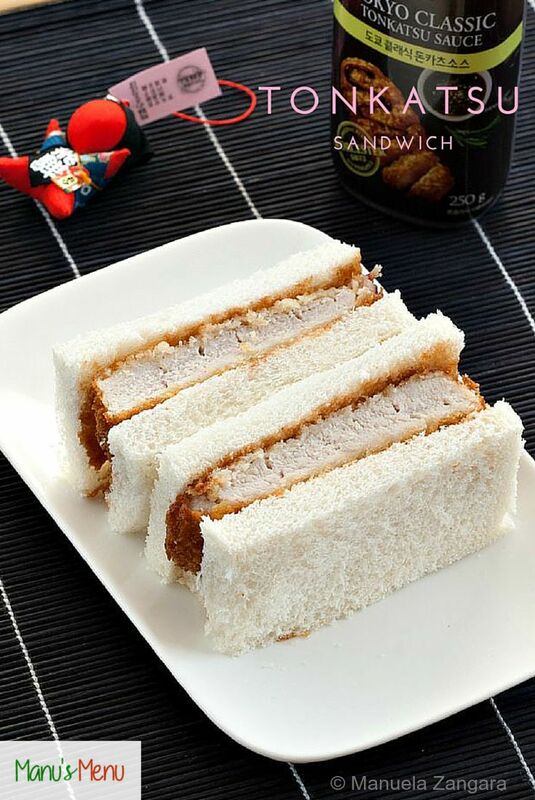 Tonkatsu Sandwich - a great bento box idea and a fantastic way to use left-over Tonkatsu. 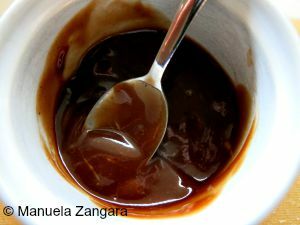 Mix the wasabi and Tonkatsu sauce until smooth. You can add as much wasabi as you like, just be careful: it is really spicy! 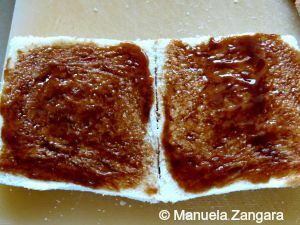 Spread the sauce on the white bread slices. 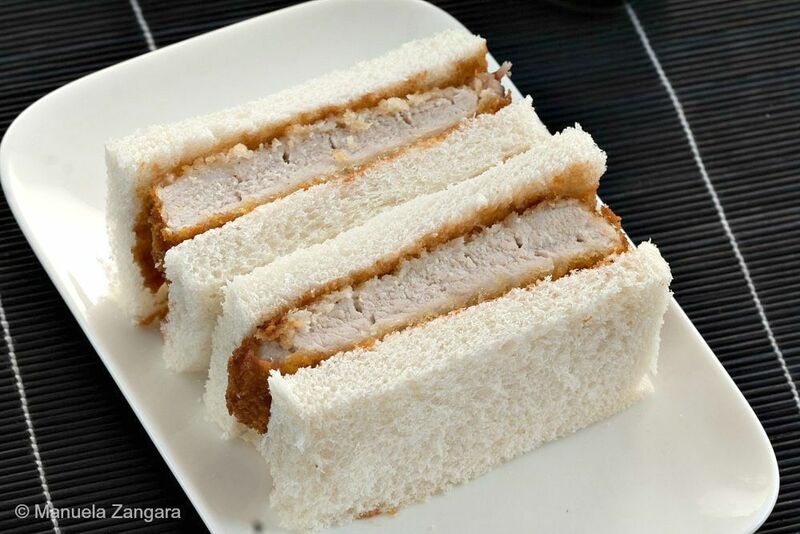 Make a sandwich with the Tonkatsu and cut it in half. You can make this recipe with warm or cold Tonkatsu. Mmm, yummy! Pretty good for breakfast.